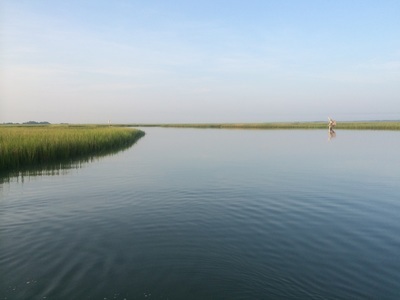 Current research in the Roberts Lab is broadly focused in three areas: 1) ecosystem ecology and biogeochemistry (particularly focused on terrestrial-aquatic and community-ecosystem linkages along the aquatic continuum), 2) human-induced environmental impacts on aquatic ecosystems, and 3) restoration ecology. 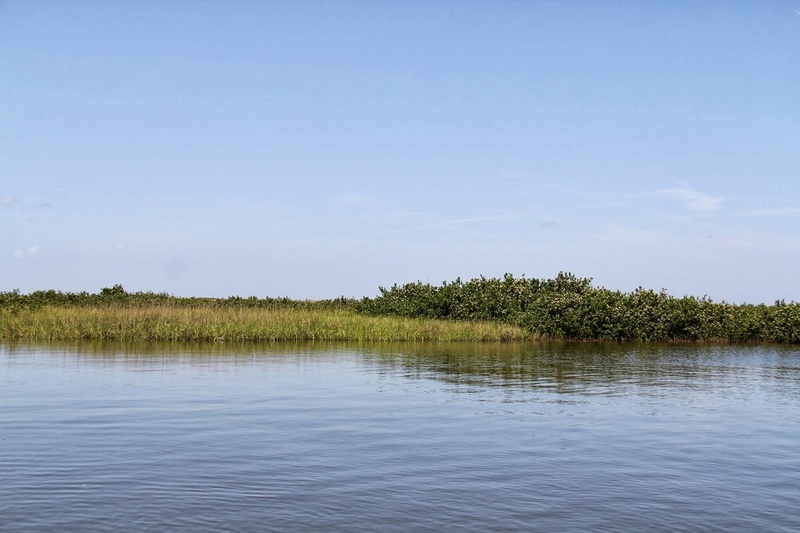 Our research team is currently involved in projects in multiple ecosystem types including headwater streams, rivers, baldcypress swamps, salt marshes, estuaries, and coastal oceans. 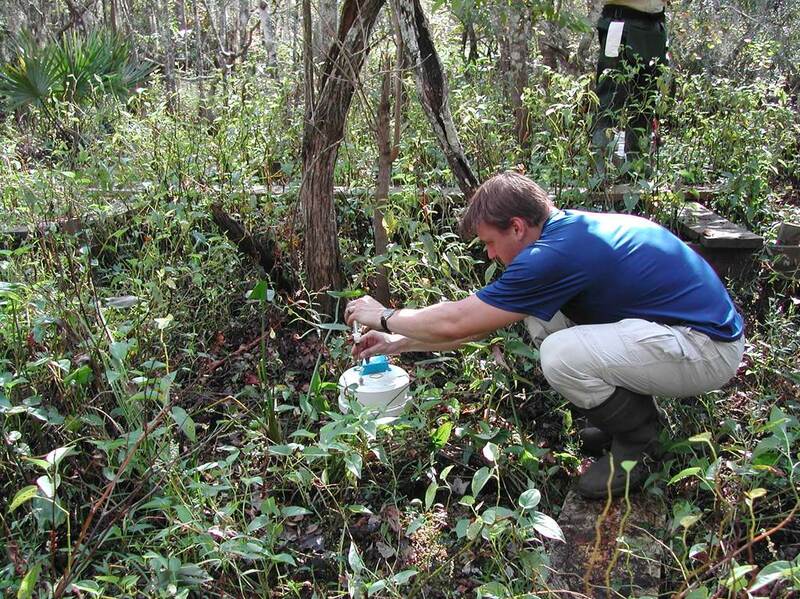 The interdisciplinary and collaborative nature of our research lends itself to providing numerous research opportunities to students. The Roberts Lab collaborated with Mike Dagg (LUMCON) to examine the influence of marsh and coastal exchanges on net ecosystem metabolism (NEM) in Terrebonne Bay. We also examined controls on bacterial respiration rates and the relative contributions of autotrophs (phytoplankton) and heterotrophs (bacteria) to ecosystem respiration along a transect between the marsh edge and southern end of Terrebonne Bay. 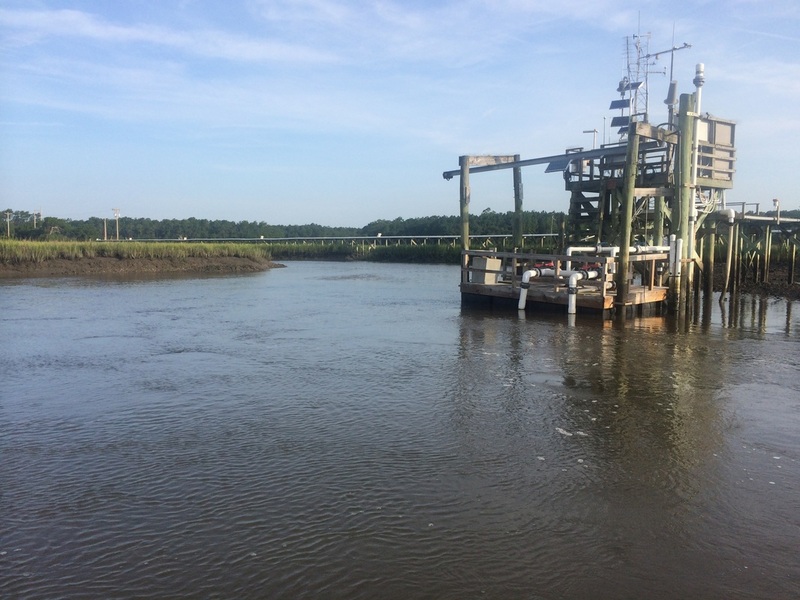 The Roberts Lab collaborated with Erik Smith (North Inlet-Winyah Bay NERR / Baruch Marine Field Lab) to examine spatial and temporal patterns in benthic and pelagic metabolism and nutrient dynamics in two sub-basins of a salt marsh estuary. We measured rates at the relatively pristine Oyster Landing monitoring station located at the confluence of two 1st order tidal creeks that drain pine forested uplands and wetlands and the Debidue Creek monitoring station that receives inputs from residential development upstream. 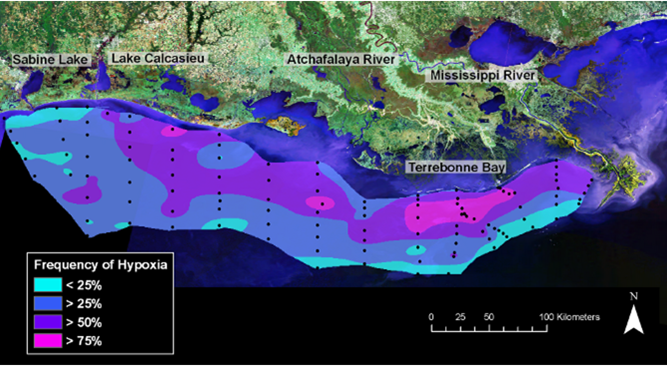 The Roberts Lab is part of a team of scientists from LUMCON, LSU, University of Michigan, and NOAA studying and modeling the causes and consequences of hypoxia in the northern Gulf of Mexico. 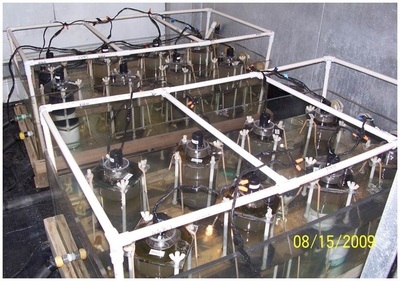 Our group conducted a series of seasonal experiments quantifying carbon production and cycling dynamics in the hypoxic region—a new spin on nutrient limitation experiments with a greater focus on organic C dynamics (in addition to chlorophyll). From 2010-2012, we studied inshore-offshore and vertical patterns in water column respiration and nutrient uptake rates and inshore-offshore patterns in benthic metabolism and nutrient cycling rates seasonally over multiple years [by combining this effort with the ARDE project described above, we were able to measure rates from the lower AR out to the 30 m isobath]. Since 2012, we have been determining spatial patterns in respiration rates across the LA-TX shelf during the July hypoxia mapping cruises. Since 2013, we have been collaborating with Mary Kate Rogener and Mandy Joye (UGA) to link DO dynamics and respiration with denitrification, sulfate reduction, and methane oxidation rates as well as CH4 and N2O fluxes on the shelfwide cruises. 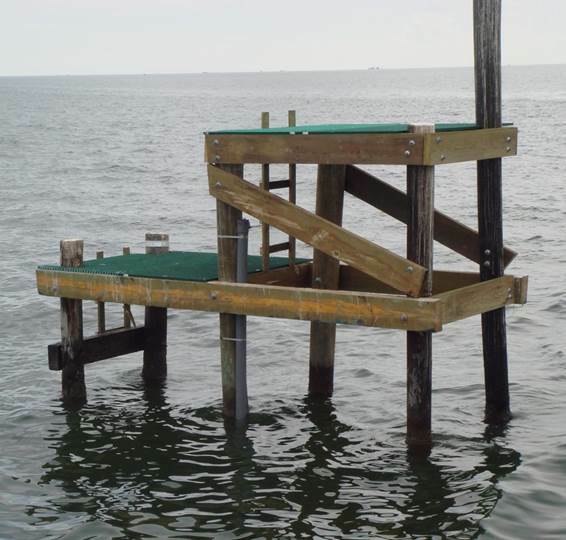 Dr. Roberts is on the executive committee overseeing a large, multi-institution team of researchers on the Coastal Waters Consortium (CWC) project (http://cwc.lumcon.edu/) funded by the Gulf of Mexico Research Initiative to study the impacts of the oil spill and future spills on marshes and coastal environments. The Roberts Lab leads the wetland biogeochemistry and microbial ecology effort in collaboration with Anne Giblin (Marine Biological Laboratory) and Anne Bernhard (Connecticut College). Our group’s overall objectives since beginning this project in 2012 have been to 1) improve understanding of temporal and spatial patterns in marsh biogeochemical process rates, associated microbial communities and factors regulating these communities and rates; and 2) evaluate the impact of oil exposure on marsh biogeochemical processes and associated microbial communities. 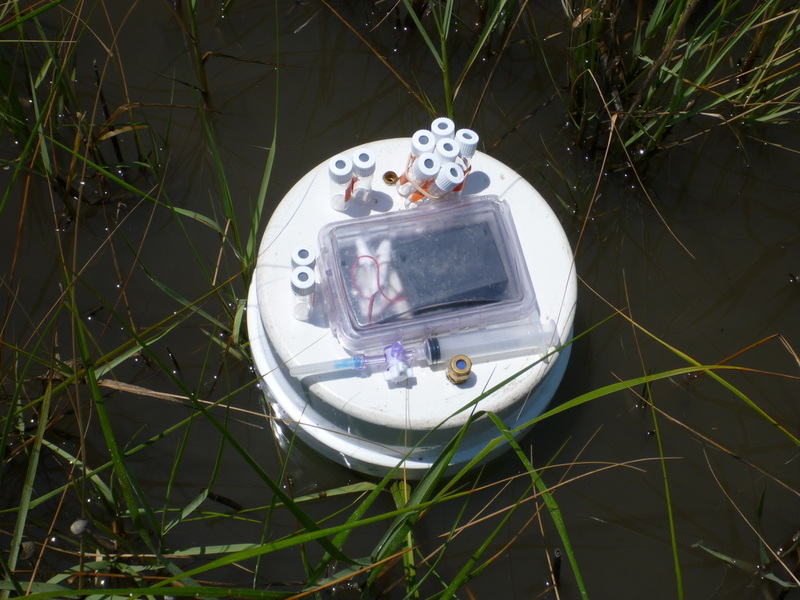 During CWC-I we collected extensive datasets on wetland biogeochemistry (greenhouse gas fluxes, nitrification, denitrification/DNRA/anammox, phosphorus sorption, iron reduction), associated microbial communities (ammonia oxidizers, denitrifiers, methane oxidizers), and plant above and below ground biomass, production and decomposition. 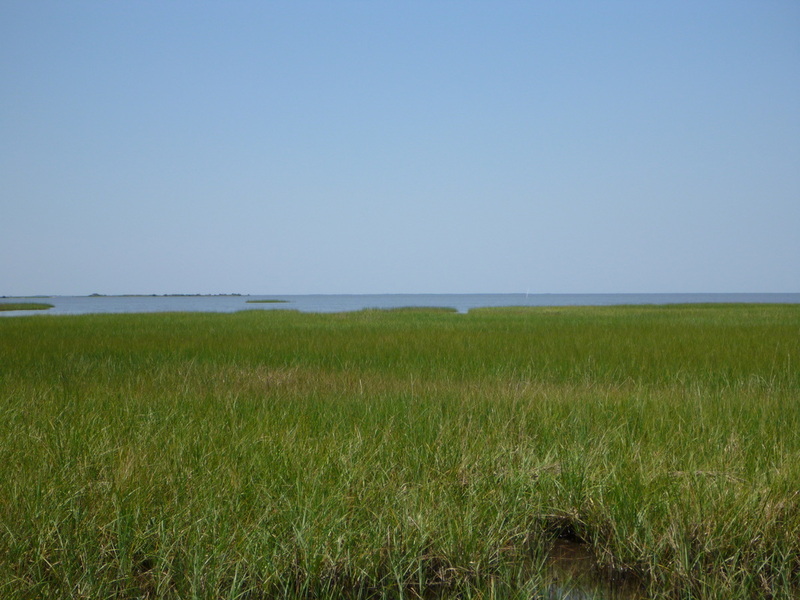 In CWC-II, we intend to expand our work in several areas including examining: impacts of oil exposure on carbon sinks; how plant stress responses link to biogeochemical fluxes; how spatial variability between marsh subhabitats in process rates and communities and their susceptibility to oiling influence our ability to scale up to the whole ecosystem; and how vegetation and salinity alterations might influence impacts expected as result of future spills. 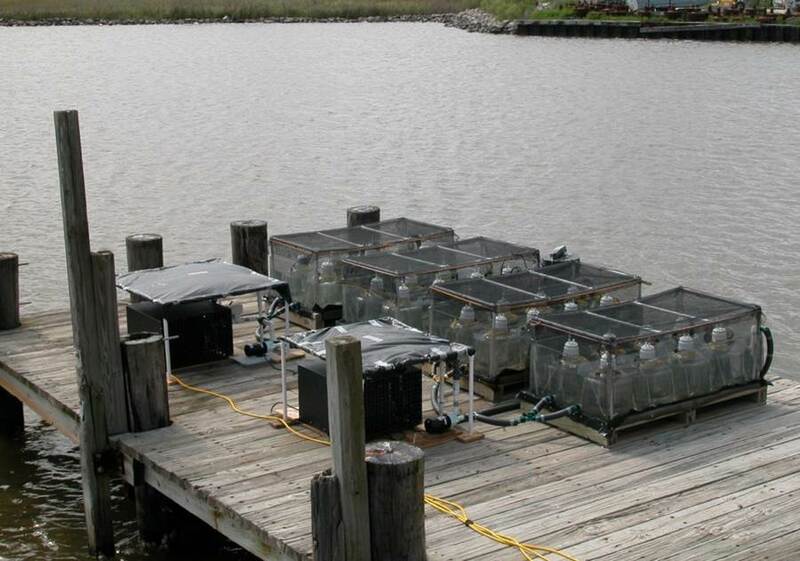 This research involves a combination of field/lab studies and manipulative experiments at multiple scales including the use of a large scale marsh mesocosm facility being built at LUMCON as part of CWC. 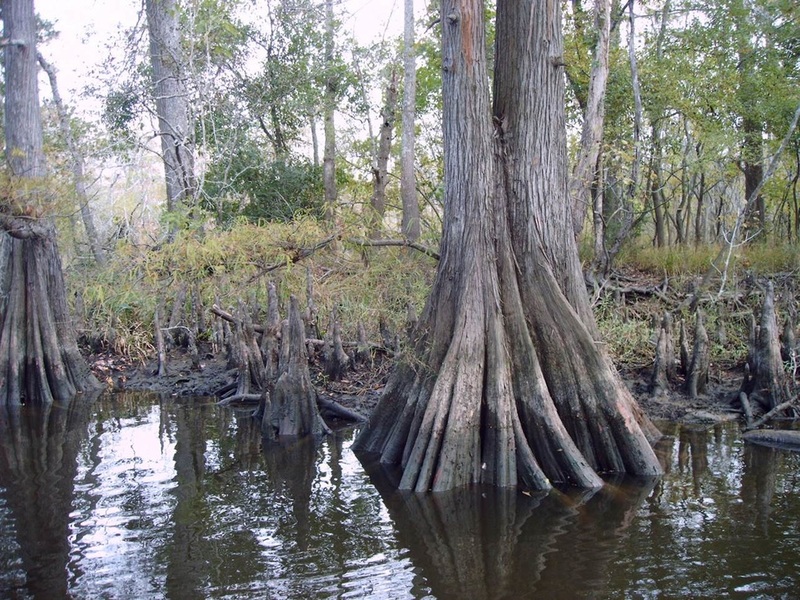 We collaborated with Beth Middleton (USGS NWRC) on a NSF RAPID grant studying the effects of hydrologic remediation efforts to prevent oil inundation of wetlands following the Gulf oil spill on ecosystem dynamics in baldcypress swamps in Texas, Louisiana, and Florida that are part of Middleton’s long-term research network. Some components of the research included examinations of the impacts of the remediation on: 1) tree growth, litter and root production; and 2) elevation and decomposition rates; as well as examinations of: 3) spatial patterns and controls on soil denitrification rates; and 4) seasonal patterns and controls on soil greenhouse gas fluxes. In addition to being lost and being exposed to oil, Louisiana wetlands experience numerous other environmental stressors including changes in salinity regime (both increases from salt water intrusion and decreases from the creation of river diversions) and climate change induced changes in vegetation (e.g. 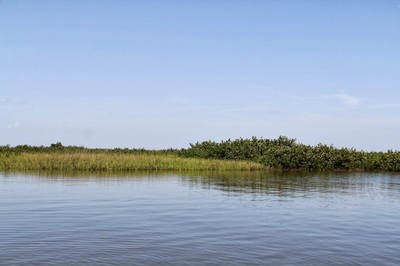 the northward expansion of Avicennia germinans (black mangrove) into salt marshes). 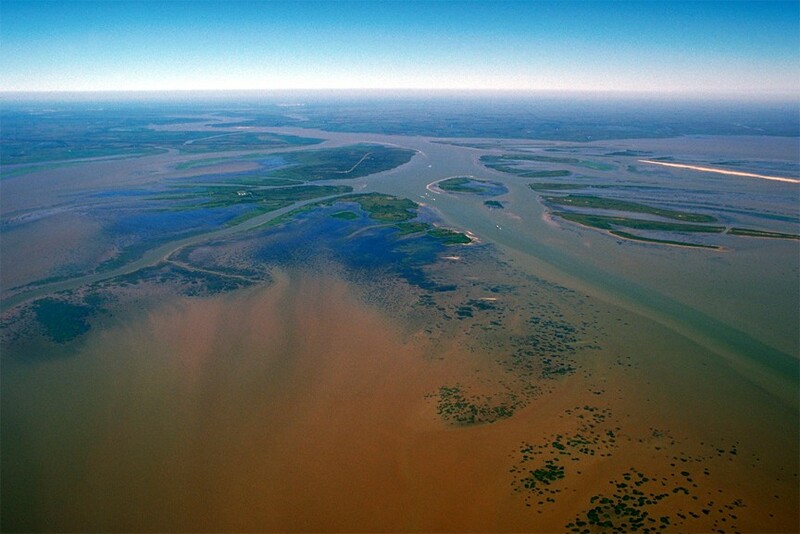 The Barataria Bay estuarine system provides an ideal laboratory to examine the influence of current (Davis Pond Freshwater Diversion; constructed in 2002) and future (the first implementation period of the 2012 Coastal Master Plan includes two large sediment diversions into Barataria Bay) river diversions in system that has well-documented increases in salinity in recent years and is experiencing the northward expansion of A. germinans into the salt marshes in the southern region of the system. 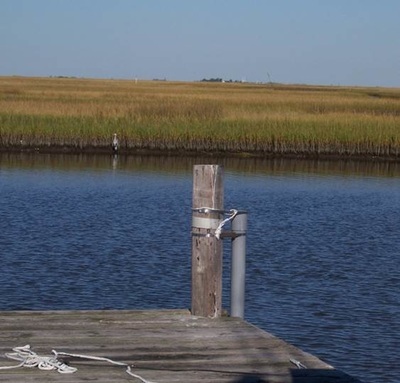 Our group has begun examining how both of these changes will influence the biogeochemistry of coastal wetlands as well as their susceptibility to future oil spill events through a series of field studies and laboratory manipulation experiments. In January of 2004, Dr. Roberts began examining temporal variation in ecosystem metabolism (Gross Primary Production [GPP] and Ecosystem Respiration [ER]) and nutrient uptake in the West Fork of Walker Branch, a first order forested stream in the Ridge and Valley Province of eastern Tennessee in collaboration with Pat Mulholland (ORNL) and Walter Hill (University of Illinois). Daily GPP and ER rates have been measured continuously since that time, through collaboration with Natalie Griffiths (ONRL), allowing us to identify controls on ecosystem metabolism rates at multiple temporal scales (day-to-day, seasonal, episodic (e.g., storm flow events and the 2007 spring freeze), and interannual). 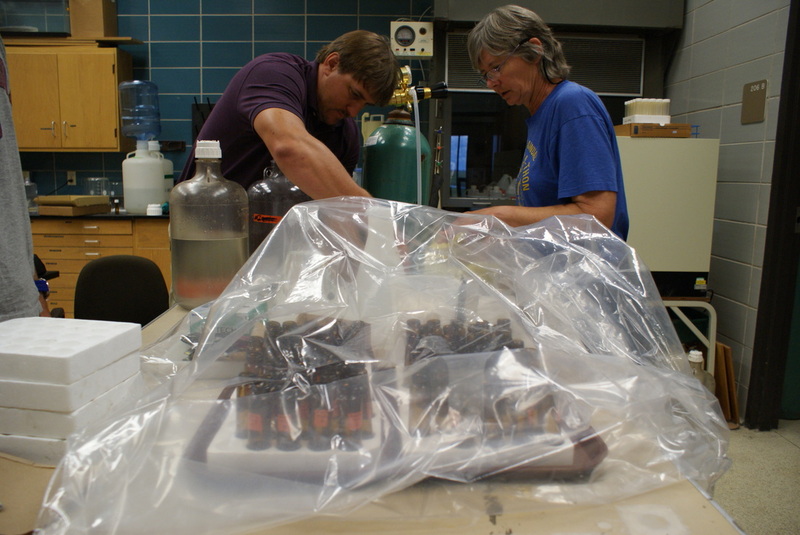 As part of this project, Walter Hill and I have been examining the role of snails in stream ecosystem processes (e.g. top-down controls on periphyton biomass & production; snail contributions to ecosystem R and nutrient cycling). Natalie and I have recently entered into a collaboration with Kyle Whittinghill (St. Olaf) to build a model of Walker Branch metabolism based on the first 6 years of data and validate it with years 7-10.